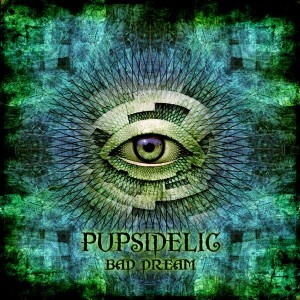 Eleusis Records presents Bad Dream, the first solo release by Pupsidelic (Niko Marantidis). Born in Kazakhstan, Niko moved to Greece in 1992. Since 2006 he has been producing psytrance and ambient music, working with the Badgers and Entheogenics Music crews. This particular release is a meditation on dreams, from the ordinary to the more overtly surreal and bizarre. Expect a heavy dose of cinematic atmospheres, liquid rhythms, and trippy effects. Mastered by Pupsidelic & JP Illusion @ JP Illusion Studio, Athens, Greece, with artwork by Jimacido. MP3 Download | FLAC Download | WAV Download · Download count: 4,678. Wicked Music & Hell of a production !!!! Thnx its unreal music i like it! this weekend LIVE IN MOSCOW ??? on Andrew-SOM & him friends party/open ?? ?